Hello crafters! Monica here! 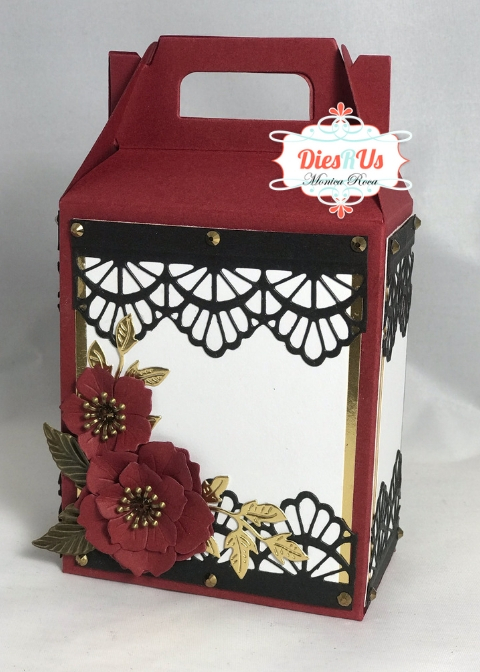 I am back up on the blog to share this quick and simple treat box I decorated using a few dies carried at Dies R Us. Below the photo I will have my youtube video that I have created to go over the products that I used as well as go over a few of the details of my project. Thank you so much for stopping by & happy crafting! What a great box with these rich contrasting colors and lovely embellishing! Beautiful work Teamie! Such a beautiful box, well done. Gorgeous box! I love the rich colors! WOW What a fabulous treat box and it's absolutely beautiful! Great video too! Well done! Thanks for inspiration! It's charming and elegant! Well done! What a gorgeous gable box! Very elegant! Easter Bunny is on his way!